This book examines the relationship between the White House, in the person of its press secretary, and the press corps through a linguistic analysis of the language used by both sides. A corpus was compiled of around fifty press briefings from the late Clinton years. A wide range of topics are discussed from the Kosovo crisis to the Clinton-Lewinsky affair. This work is highly original in demonstrating how concordance technology and the detailed linguistic evidence available in corpora can be used to study discourse features of text and the communicative strategies of speakers. It will be of vital interest to all linguists interested in corpus-based linguistics and pragmatics, as well as sociolinguists and students and scholars of communications, politics and the media. 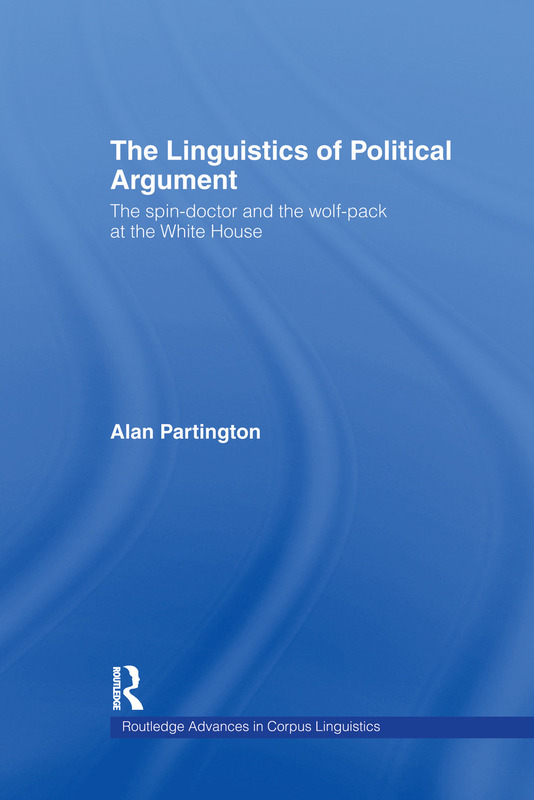 Alan Partington is Associate Professor of Linguistics in the Faculty of Political Science, Camerino University (Italy). He has published in the fields of phonetics, CALL, lexicology and corpus linguistics, and is the author of Patterns and Meanings: Using corpora for English language research and teaching (1998, Benjamins). He is currently researching ways in which corpus techniques can be used to study features of discourse.